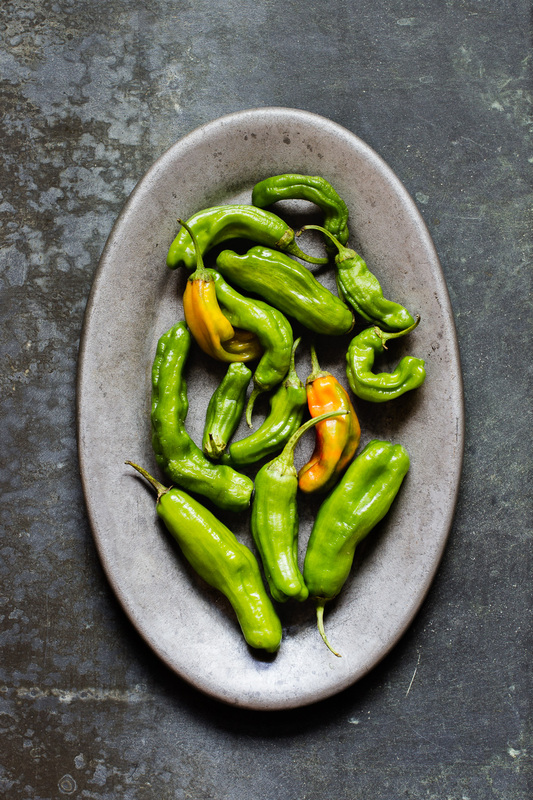 While shishito peppers are nothing new, they are my absolute favorite bar snack. I recently became obsessed with them after traveling in Japan, where these slender, finger-long peppers are commonly served at many izakayas, or Japanese pubs. They come blistered and seasoned with a heavy hand of coarse sea salt and a squeeze of lemon giving them an addictive crunch that goes great with cold beer. Shishito peppers are sweet and mild Japanese peppers. However, about one in ten packs heat. 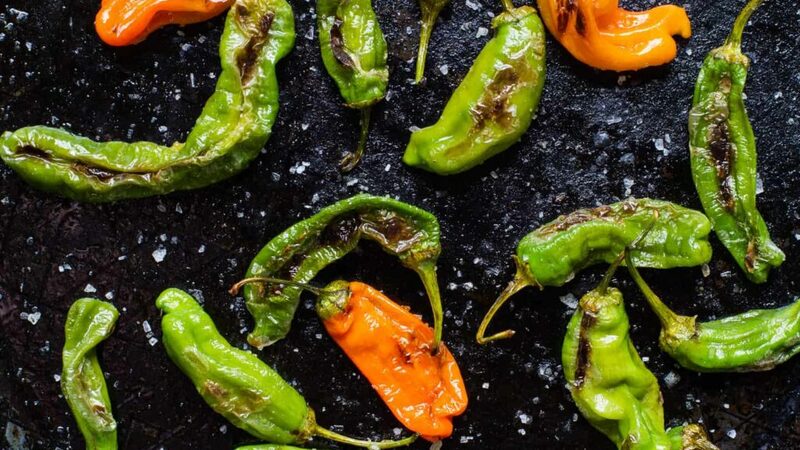 If you like things spicier, substitute padrón peppers, which are shishito’s spicier Spanish cousin. Preparing these peppers is easy. 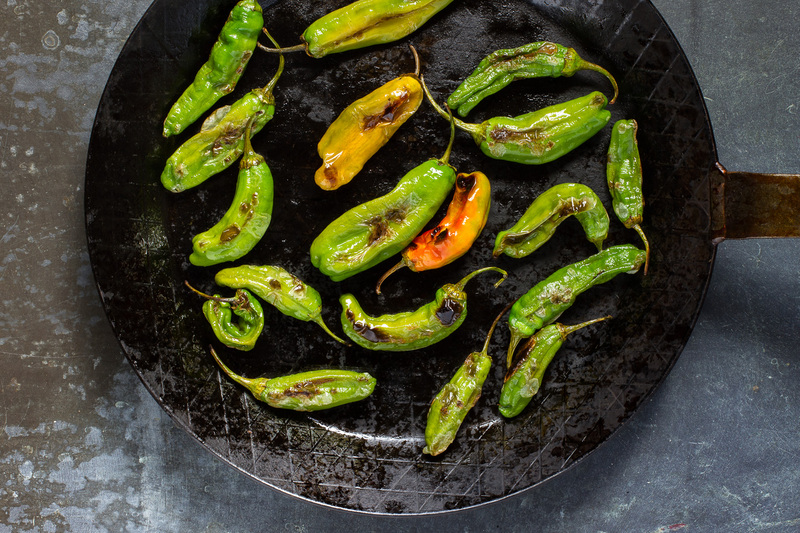 Simply toss with a high-heat oil (like grapeseed) and cook over medium-high heat until blistered on all sides. 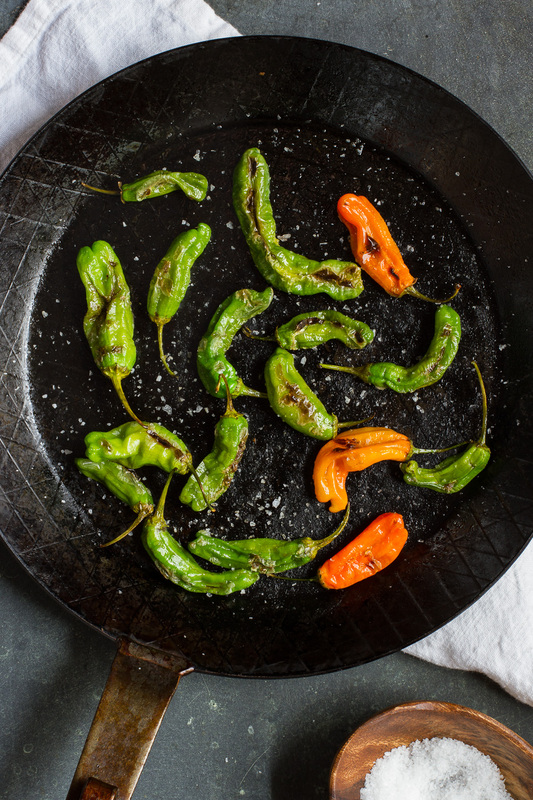 You want to aim for slightly-charred peppers with a bit of crunch, not fully cooked. Think al dente. The whole process should take about 5 minutes. Then, toss with sea salt and a squeeze of lemon juice. For something different, sear in sesame oil and sprinkle with togarashi, a fiery Japanese spice blend, and coarse salt. Pre-heat a wide sauté pan over medium-high heat. 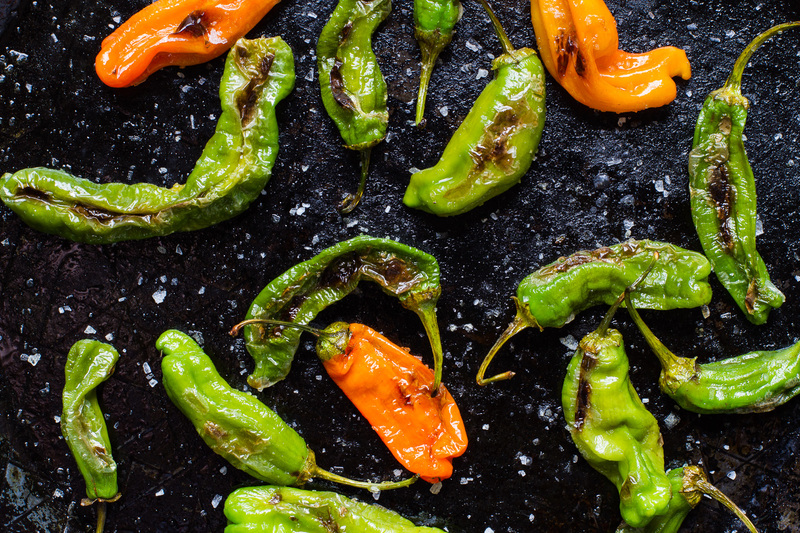 Toss the peppers with the oil and then add them to the hot pan in a single layer and allow them to blister, about 2-3 minutes. Once they begin to char, give the pan a shake and char on the other side, about 2 minutes more. The peppers should be tender and charred places but still retain a bit of crunch. Remove the peppers from the pan and drain on paper towels. Generously salt them and add a squeeze of lemon. Serve immediately.